Snap hook with 60mm opening. Use to connect fall arrest equipment to an anchorage point such as scaffolding. Snap hook with 60mm opening. 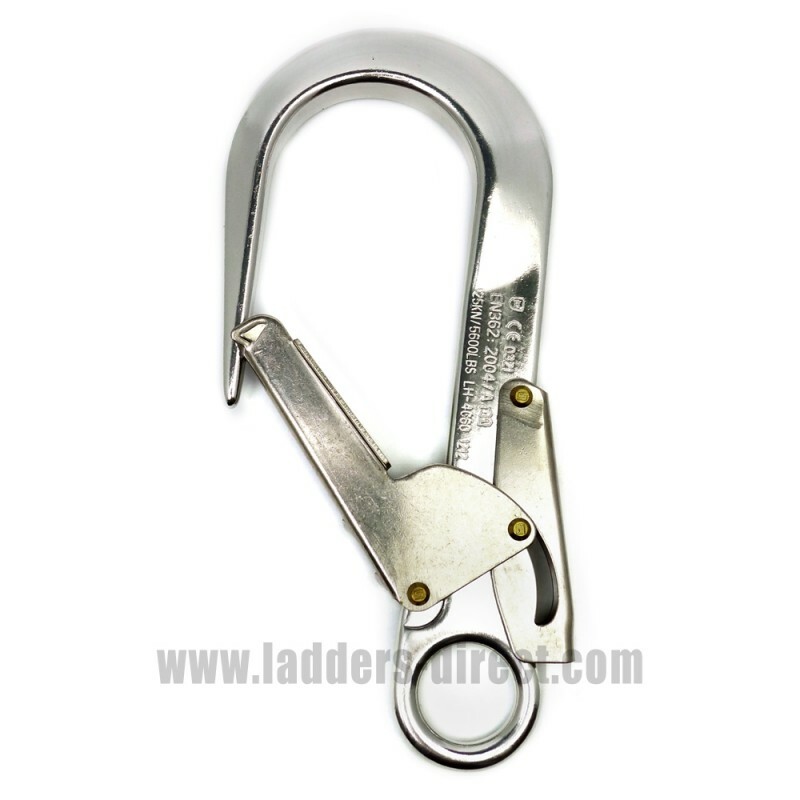 Use to connect fall arrest equipment to an anchorage point such as scaffolding. Certified to European Standard EN362.